Pakistan faces South Africa in a do or die game at Edgbaston. Sarfaraz needs to bring in new strategies as the previous ones failed miserably in the last game. Barring an ODI series win in West Indies, not many things have gone in Pakistan’s favour in recent times. After the retirements of Misbah and Younis from the ODI arena, Pakistan has largely struggled to find solidity in the middle order. They punted on old horses: Shoaib Malik and Mohammad Hafeez, but their problems in big tournaments still persist. Pakistan were never the favourites to beat India. But the fact that they would not offer any resistance has come as a bit of a surprise. They seemed tactfully lost and mental gone in the high-octane clash at Edgbaston on Sunday. Pakistan has never beaten India in an ICC event post their win against their arch-rivals in the 2009 edition of the Champions Trophy. 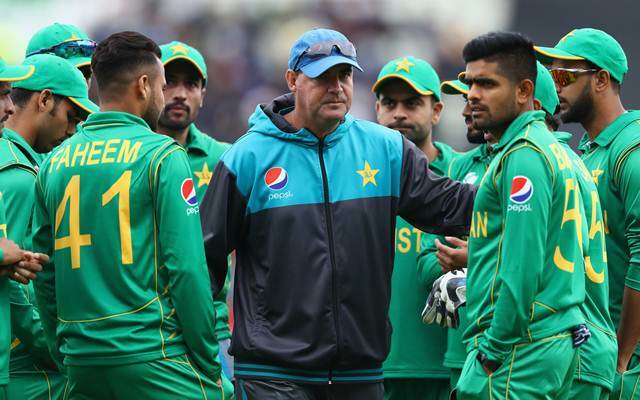 They have to lift the morale of their unit and face the mighty South Africa, who have been in stupendous ODI form of late. Sarfaraz Ahmad needs to rethink the strategy of his side. Not often you see a spinner open the bowling in England unless it is a T20 game. The conditions demand the faster men to operate early in the innings. With the rain around, the moisture in the air can be exploited by the talented fast bowling unit of Pakistan. South Africa are coming off from a big win against Sri Lanka. The Islanders, like Pakistan, are a struggling unit these days but you have to still beat them, which the Proteas did by a convincing margin. Another win will take the Proteas to almost sealing a semi-final spot. With the kind of record South Africa has in ICC events, they wouldn’t want to leave it too far behind because they are known to succumb to pressure. Pakistan will surely chop and change their combination for this all-important clash. The perils of a first round exit will be playing in their minds. They need to seek inspiration from their win against the same side in the World Cup of 2015. Hafeez played a strange innings of 33 the other day and lacked intent in his approach. Being a senior member of this squad, the all-rounder should show the way for an otherwise young unit. He has the right technique to negate the new ball and can be used as an opener, where he has enjoyed considerable success in the past. The 36-year old’s off spin can be also utilised in the middle overs. Azhar Ali, another batsman with a tight technique, is set to open the innings after hitting a fifty on Sunday. Azhar is a compact batsman who can build an innings and lay a platform for the rest. Ideally, Azhar should hold up one end whilst the rest bat around him. Azhar has the ability to find the odd boundary to keep the scoreboard ticking. The right-hander has considerable success playing in England in international cricket. Babar Azam is hailed as the next big thing from Pakistan. He should quickly realise that if he wants to emulate the yesteryear’s legends, he has to perform on the big stage when the stakes are high, which is what he would be remembered for after his playing days. Azam was out to a soft dismissal in the big match when he cut one straight to point off Umesh Yadav. Malik looked threatening the moment he walked out to bat against India. He had the right intent and was positive from the start adopting the ‘attack is the best form of defence’ strategy. He hit two sweetly timed boundaries and then hit Jadeja out of the park to quickly reach to 15. An unfortunate run out the following over cut short his innings. He is the man in form and has the experience ergo; Pakistan must play him at No. 4. Sarfaraz brings positivity to the proceedings and hence move a slot higher to bat at No. 5. He shouldn’t identify himself as the one who can only get the quick 30’s or 40’s. Sarfaraz has all the right attributes of getting big fifties and accelerating towards the end of an innings. He is a busy player and can play a perfect game at No. 5. Haris Sohail has a sound domestic record and has done reasonably well in the chances he got for Pakistan. Being a left-hander, Sohail can take care of Imran Tahir who brings the ball into the lefties. Haris hasn’t played any international cricket for 2 years due to an injury but has proven his fitness in the domestic arena. Imad had an ordinary game against India. He has been a mainstay of Pakistan’s limited-overs outfit and hence will be persisted with. Imad’s left-arm spin will be more effective in the middle overs. Sarfaraz should be smart enough to recognise the recent struggles of De Villiers against Krunal Pandya, who is also a left-arm spinner and doesn’t turn the ball too much like Imad. The 28-year old can provide the late flourish to the innings with his enterprising batting. Amir bowled a splendid first over to Rohit Sharma where he beat the edge thrice. Amir would have eventually gotten his wicket if Sarfaraz hadn’t had the fine leg fielder inside the ring. The left-arm paceman is a rare talent but needs to be given the right fields to be more lethal. He bowled well but pulled up a cramp at the wrong time which saw him leaving the field when his team needed him the most. Barring the first three overs, Shadab Khan bowled well in his first Indo-Pak clash. He wasn’t afraid of giving the ball air and would have had the big wicket of Yuvraj if a straightforward catch wasn’t dropped by the long-off fielder. This teenager has the right skill and temperament to succeed at this level. He is an X-factor in Pakistan’s side. Hasan Ali went for runs on Sunday. He was mysteriously bowled after the conclusion of the 12th over. He is a skilful bowler who will get purchase in these conditions and must get the new ball. Faheem Ashraf could make his international debut in place of the injured Wahab Riaz, who has been ruled out of the tournament. Ashraf is known to be a big hitter of the ball and bowls disciplined medium pace. Being a rookie, Ashraf won’t have anything to lose which gives Pakistan another reason to play him in this significant game.